THANK YOU for making our 20th anniversary GREAT!! The 20th anniversary event took place on November 30-December 2, 2018 at the Santa Fe Community Convention Center (201 W. Marcy Street). We had 90 artists in the Art Market, over 30 artists in the adult juried art exhibit, 24 classrooms participating in our student juried art exhibit, over 30 amazing outfits in the Trash Fashion Show and tons of treasures created in our Make and Take art area! Thank you for your support and assistance!! Still need a few more perfect recycled-art gifts? See the art market layout with a list of artists HERE and email Sarah Pierpont at sarah@recyclesantafe.org to find out who sold what, etc during the 2018 show. Mark your calendars for our 2019 event ..... November 15 - 17, 2019. If you're interested in learning more and applying to be in the 2019 show, please join our email list on the right. 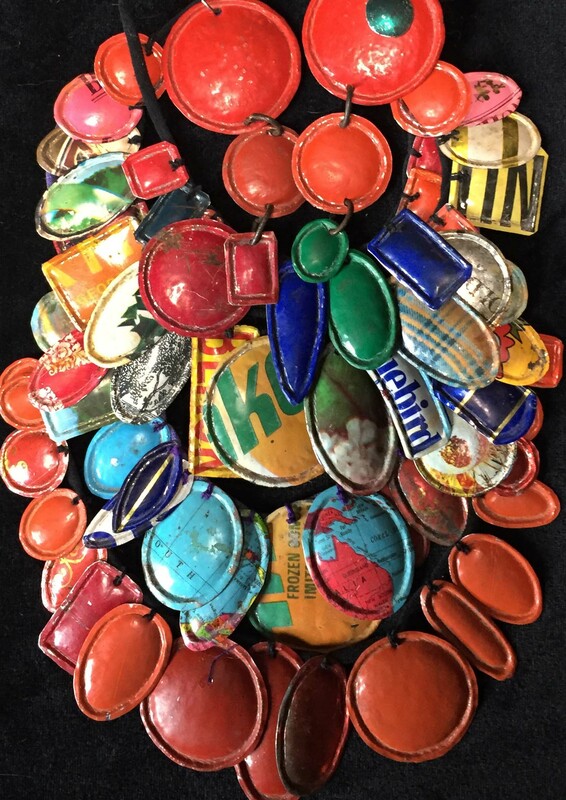 The country’s largest and oldest recycled art market, Recycle Santa Fe Art Festival, is dedicated to showcasing art created from discarded materials. This exciting weekend-long event kicks off with Friday night’s famous Trash Fashion and Costume Contest, then continues with an inspiring art market, adult and student juried art exhibits, and make and take art activities. Each year we bring in more than 100 artists from around New Mexico, but also stakes such as Colorado, New York, Arizona and elsewhere that offered their original pieces for sale in the Art Market and display their work in the juried art exhibit. Every year, this event attracts thousands of art lovers and the eco-conscious holiday gift-giver attracted by the art deals, family friendly art making activities, gallery-worthy exhibits and the perfect gifts. If you are interested in finding more ways to purchase your one-of-a-kind recycled art, a list of the 2018 vendors is HERE and in case it helps to jog your memory a booth layout from the 2018 show is HERE. 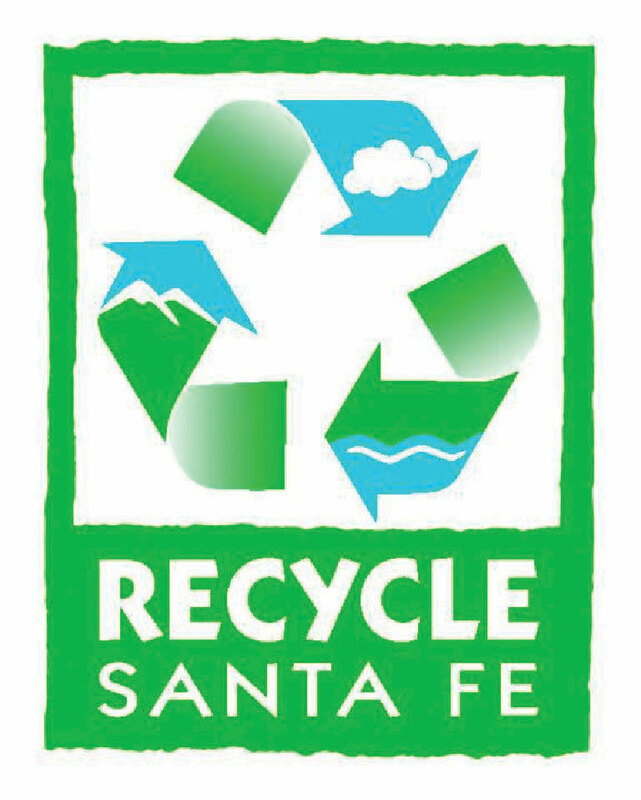 Learn more about the 2017 Festival and see www.resortsandlodges.com's recent interview with Festival Coordinator, Sarah Pierpont, HERE ......or check out KRQE-13s story about recycling and the 2017 Festival HERE. 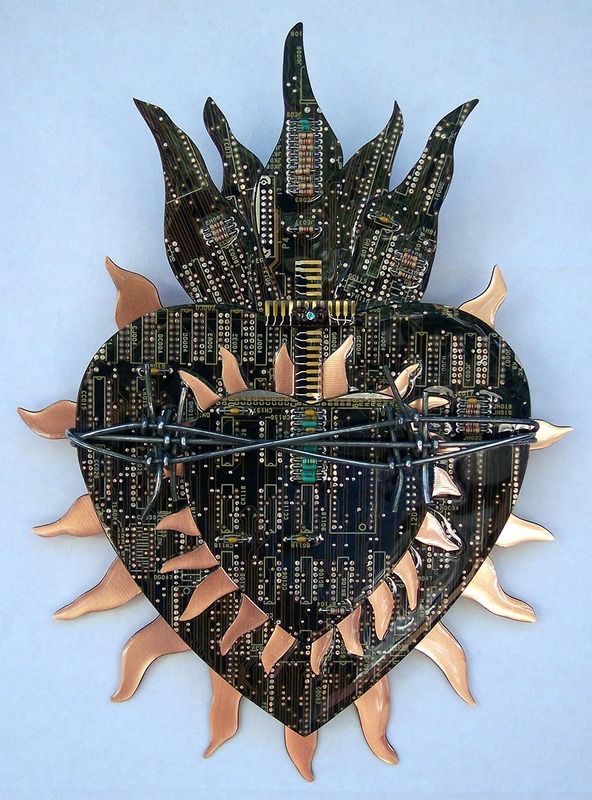 Ever wonder what Recycle Santa Fe Artists are up to aside from being in our annual show? Recycle Santa Fe Artist, Mitch Berg, recently launched a recycled art studio and school in Shipping Containers in Albuquerque's South Valley. Read more HERE. The famous, wild and crazy Trash Fashion & Costume Contest. The most original fashion show in Santa Fe at 7:00 pm! Announcement of Juried Art Exhibit winners (adult & student) following the Trash Fashion Show. Kids of all ages can enjoy the recycled art activities all day on Saturday and Sunday (make and take art) The ever popular Make and Take section is always a great activity for young and old to create a recycled work of art to take home and enjoy. There are lots of odds and ends materials that you can use to create your own unique work of art, including recycled tins, records, fabrics, wire, magazines, and so much more!